Conway, originally known as Kingston, is a city in Horry County, South Carolina near Highways 501, 31, 9 and 22. With multiple access points and a population of 16,317 at the 2010 census, Conway is close to everything Myrtle Beach affords and yet a quintessential southern town. It is the county seat of Horry County and is part of the greater Myrtle Beach area. It is also the home of Coastal Carolina University. Numerous buildings and structures located in Conway are on the National Register of Historic Places. Among these is the City Hall Building, designed by Robert Mills, architect of the Washington Monument. Since the completion of the Main Street USA project in the 1980s, Conway's downtown has been revitalized with shops and bistros. Highlighting the renovation of the downtown area is the Riverwalk, an area of fine dining and leisurely promenades that follow a stretch of the Waccamaw River that winds through Conway. Tree-lined streets, historic homes and churches, a thriving business district, and the wondrous Waccamaw River are what make Conway such a charming town. Conway has much to offer residents with affordably priced homes and condominiums, small town southern hospitality, a marina, river front properties, plus access to world-class hospitals and minutes from the Grand Strand beaches! Conway is an ideal location for a relaxing seaside lifestyle. Because Myrtle Beach is a popular vacation destination, Conway is also the perfect location for an investment property for beach vacationers as well as rental property. 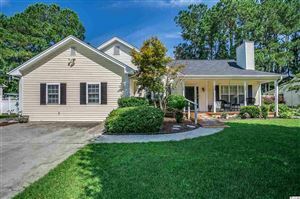 The mild climate and close proximity to amenities such as golfing, outlet mall shopping, fine dining, and entertainment PLUS Coastal Carolina University makes this a highly desirable location in Myrtle Beach. Conway, just off Highway 22, is also close to Barefoot Landing where the House of Blues, the Alligator Adventure Park, shopping, dining, and Alabama Theater are available all year round. Conway is known for its family-owned restaurants, live performances at the Theater of the Republic, picturesque neighborhoods and small town atmosphere. Conway is a welcoming and AFFORDABLE place to live! Whether you are looking for a condominium, a townhouse, a single family home, or a lot, Conway may be just the place for you. RE/MAX Southern Shores sells Conway! RE/MAX Southern Shores agents are experts who know and sell properties in Conway. RE/MAX Southern Shores agents are the #1 selling agents in the entire Grand Strand area so they will be able to find exactly the RIGHT property for you at the RIGHT price. 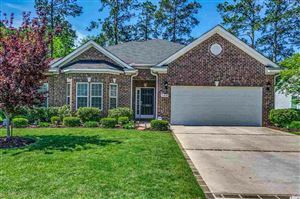 Using the RE/MAX Southern Shores search page you can input specific criteria to search all of North Myrtle Beach or just Conway to get an idea of the home styles, price ranges, and amenities that are available. Then, call RE/MAX Southern Shores at 843-839-0200 to speak with an agent, licensed in both North and South Carolina, who can find the home, vacation home, investment property, or lot that is RIGHT for you!